Miss Graham Of Incbrakie Nath. Gow. Mrs. Stewart Nicholson Nath. Gow. 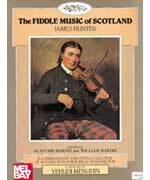 The purpose of this book is to offer fiddlers direct access to the gems of the genre. Composers represented in this volume span a three hundred year period including works by: Patrick MacDonald, Adam Craig, Capt. Charles Duff, Simon Fraser, Robert and Joseph Lowe, Robert MacIntosh, William Marshall, and J. Scott Skinner.